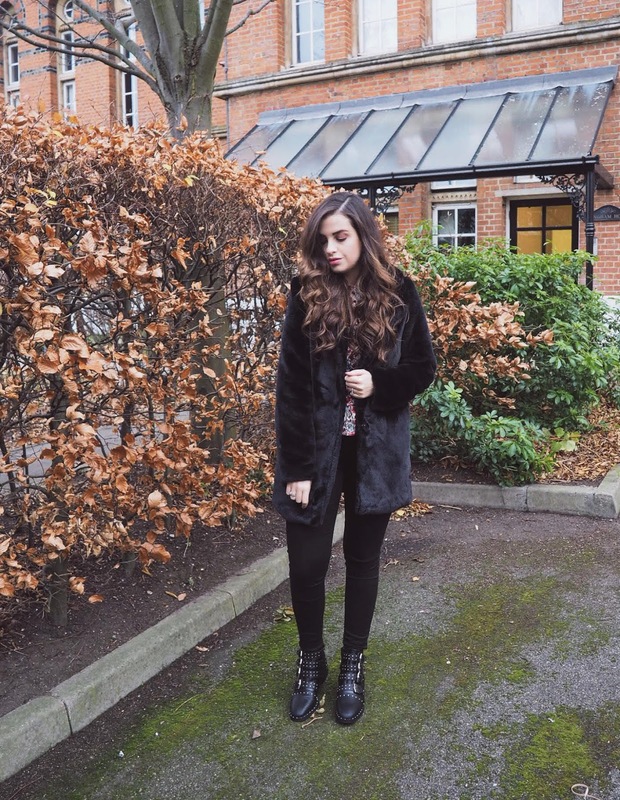 For today's post, I bring you an outfit featuring LOTD, a shop I recently came across which has some beautiful on-trend pieces including this GORGEOUS black faux fur coat and these buckle boots which were love at first sight. I also received a floral dress which I will feature in the upcoming posts. I wore this outfit on Saturday and so many people stopped me to ask where the coat was from (and to touch it which is definitely a little weird but hey). 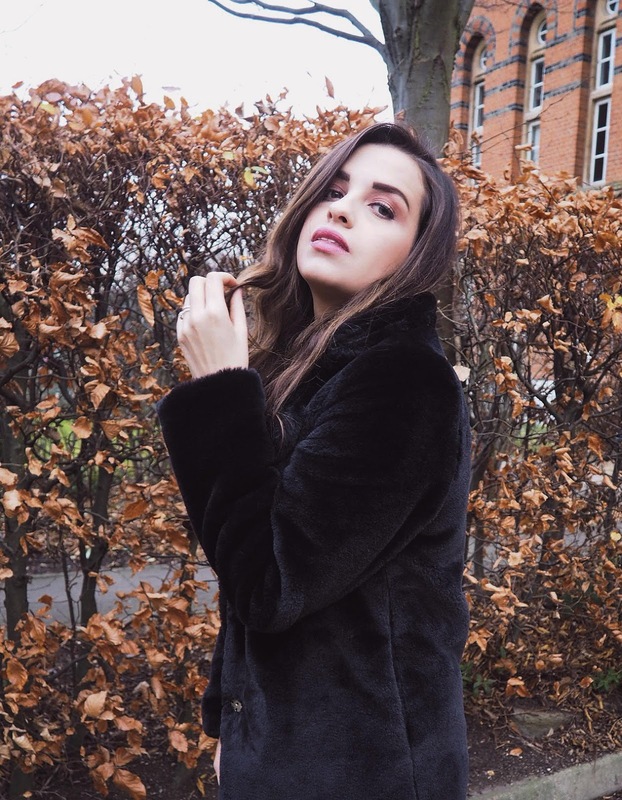 A lot of them guessed Topshop but were surprised to find out how much more affordable it actually was given LOTD is running a 50% off sale across their entire range, bringing this coat to less than £40! 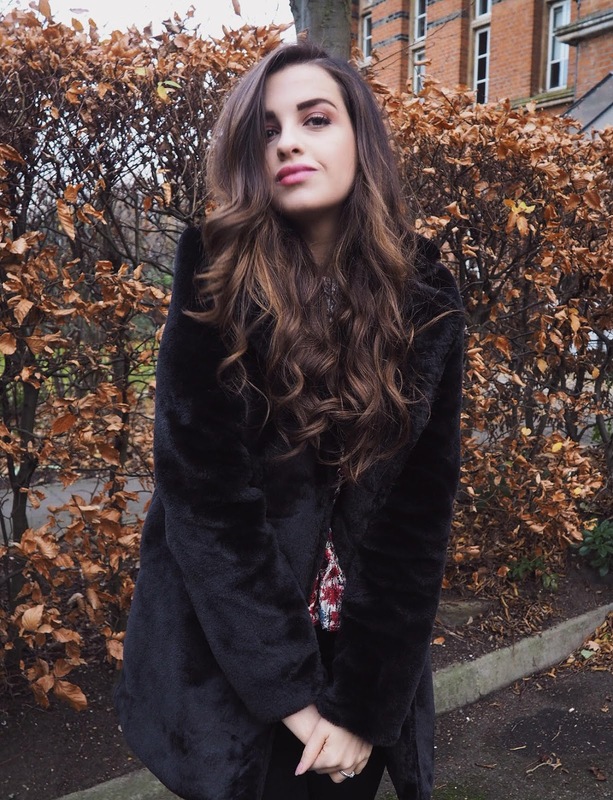 The coat is incredibly well made, soft and cozy which is what I want these days, and it fits really well being true to size. I am very impressed and already eyeing up the red version from their Louise Thompson collection. I had a similar pair of these boots, which I featured here but gosh they were so uncomfortable that I had to give them away to anyone who wanted them! These, on the other hand, are quite the opposite, I stayed in them for a whole day and I didn't feel a single thing. They're a tiny bit flashy with all of these studs and are unlike anything I own, but I like how edgy they look and I'm already thinking how nice they will look paired with a leather biker jacket when it's a little less cold out. Tell me, are you excited for December like I am? Also, what are the pieces you're currently loving? I wanted a pair of buckle boots for ages, but for whatever reason they come really narrow. I have tried so many, but they were so uncomfortable. What a great coat, perfect for keeping warm at this time of year! That coat is so cute!! I love that. Absolutely loving that fabulous fur coat! So perfect for the chilly December temps! I don't know how I feel about being in the last month of 2017, in one way I'm excited for Christmas but on the other hand I wonder where the hell the year went. I'm with you girl, but excited for 2018! Me too, I'm very excited about Christmas/ New Year. This coat looks so cute and cozy. Obsessed with your hair though! 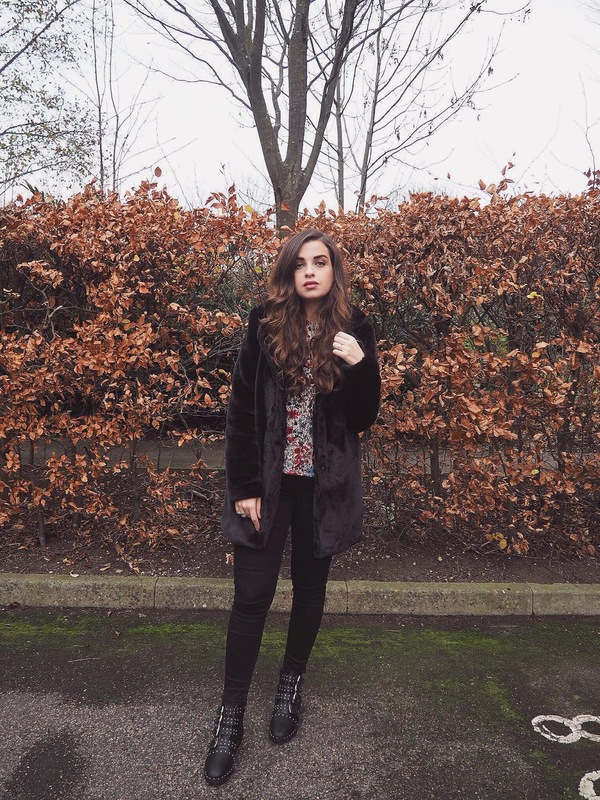 I love faux fur coats. This one is gorgeous. I've never heard of this site before, but I shall give it a look. I loved the boots, dear Pam, I like studs very much, not super flashy, just amazing! 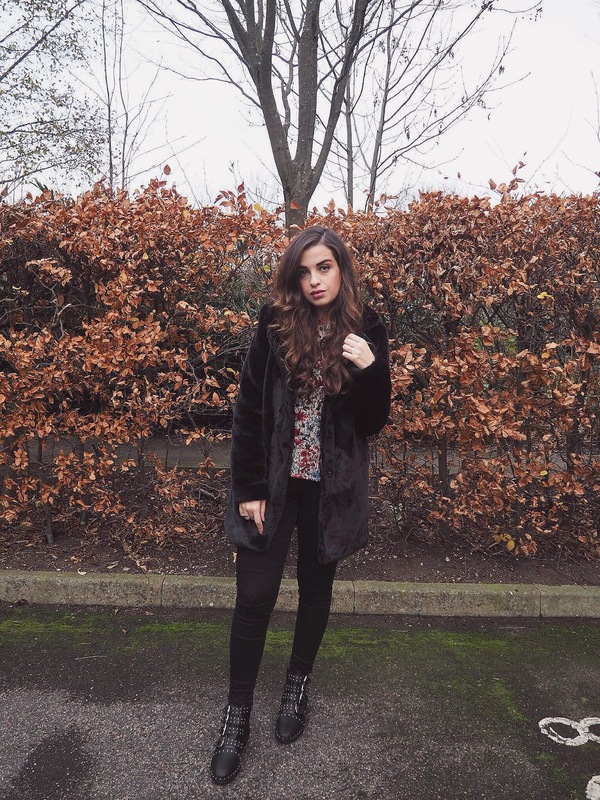 I also loved your fur coat, and again you look amazing! Yes, December is already running fast... time flies...! Hope you have a great December! thanks babe! Hope you have a lovely December too! It really looks so freezing there and i definitely lovin' this outfit especially the boots. I love those buckle boots! I have been looking for a pair in red. I too want a red pair! Asked to join the group, thanks hun! Absolutely stunning look you got here dear! I love the coat, and those buckle boots are perfect for the whole outfit. Your hair looks sooo gorgeous too.